Don’t expect a guitar related post here, it’ll be about photography. 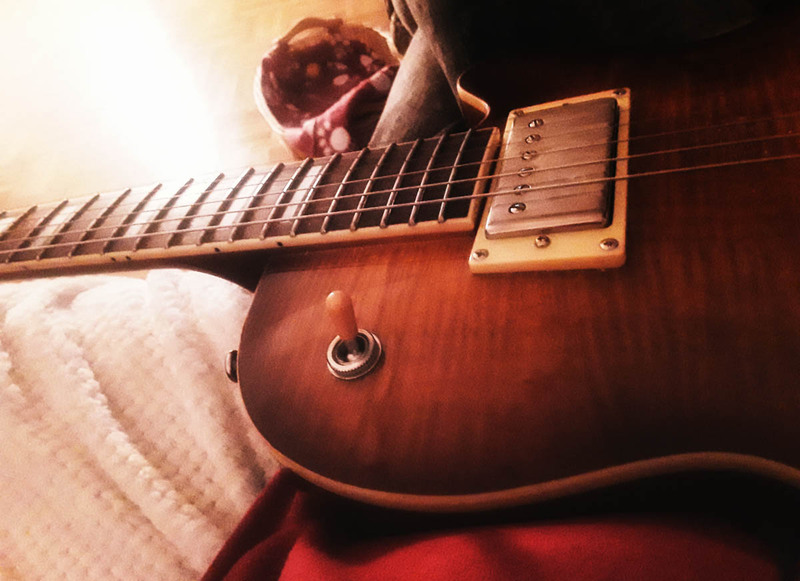 I jammed with my Guild Bluesbird today for several hours and then I got too tired to continue to play. I had the guitar still on my lap and when I looked at my guitar, the photographer came out of me because I liked the angle. I wanted to take a photo of that scene but I knew all my lenses wouldn’t work due to the minimum focus distance, because they all can’t focus at this short distance. So, I grabbed my tablet and took the photo. That’s what I always loved, and still love about the lenses in mobile devices. You can take interesting close-up shots and much wider shots. I totally love the wide-angle of mobil device lenses, and that you don’t have to care about things like minimum focus distance. With a DSLR you need specialized lenses for that type of stuff. Most of my shots are taken with a DSLR, but there are many cases where I still take photos with a smartphone or tablet. One case would be about being at the right place at the right time. Yes, you don’t always have your DSLR with you but you most likely have your smartphone with you. I mentioned the other points already. I love the wide-angle shots of these devices, and the fact that I don’t need to care about focus distance as said. This is also the reason why I have a category for that type of photography on my blog, I call it phoneography. Do you still take photos with your mobile devices too? And if so why? Yes, for the same reason you do. Yes, phones can be so convenient can’t they. Nice to catch the guild looking right smart!